How much are you willing to risk over one person’s life? This is one of the central questions that BSG asks us this week and Matthew and Dean dive deep into the opposing stances of Tigh and Adama as it relates to Search & Rescue Operations for Starbuck. 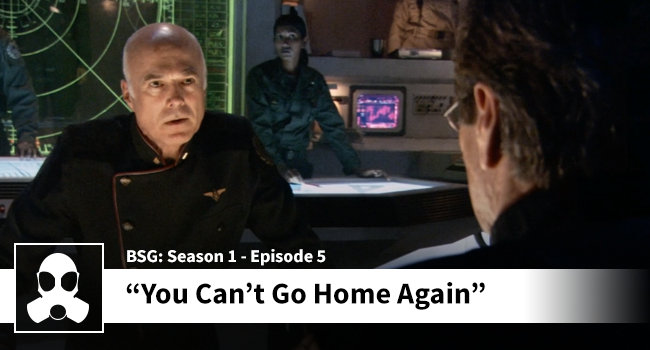 Is Adama’s relentless searching a liability for the fleet? Is Tigh in the right to point out that the entire fleet isn’t worth the danger of pushing the search? Starbuck’s discovery also has the lads discussing the biology and (possible) evolution of the Cylons. Another strong episode with the great one-two punch of both moral and physical conflicts.